I wanted to let you all see a few things I've purchased recently and quickly fallen in love with. 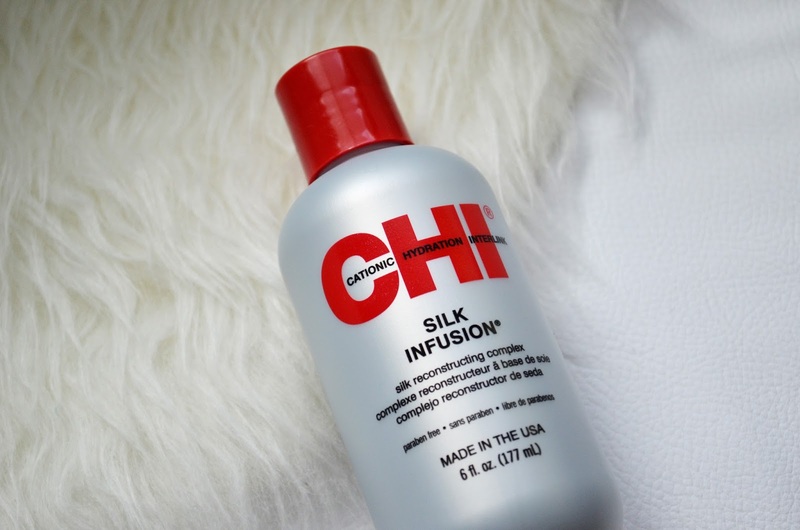 You can buy this CHI Silk Infusion here for $25.50. I've had my eye on this product for a few years now and recently I was shopping for some fun haircare products and saw it on the shelf. I was immediately reminded of all the good things I've heard about it and it was only $12 at the store I was at! So of course I added it to my hand basket. I've only used it once since I got it but oh my god guys! It's phenomenal! The smell, the texture, the packaging, it's all so lovely. It worked very well. It keeps your ends nice and healthy looking even through all the curling and straightening. You should try it out if your looking for a little something extra to make your hair look fabulous. 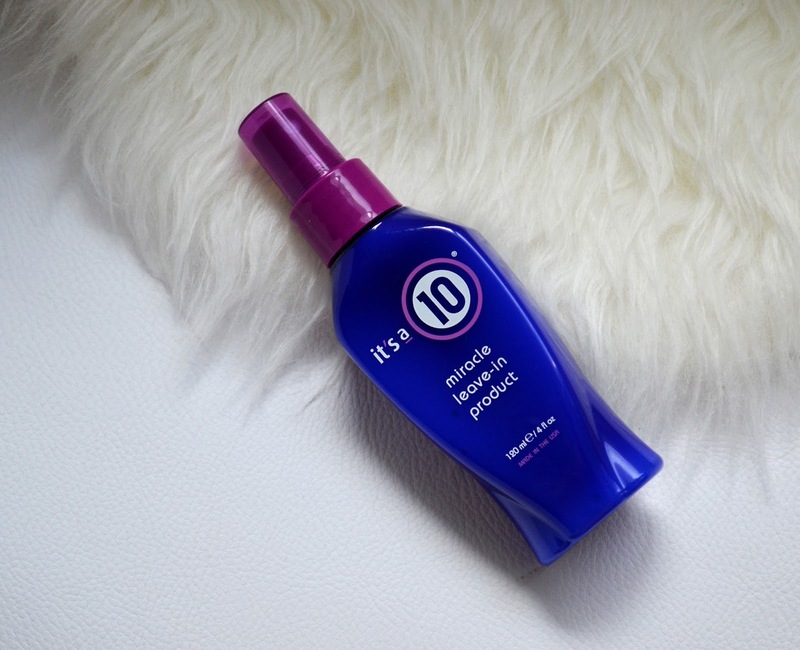 You can get It's a 10 Miracle Leave-in Product here for $18.00. This has been a holy grail product of mine for so many years now. I'm contemplating making a blog post just for it alone. I swear by this stuff. If you have ends that can be a little dry or maybe you just want your hair to be softer then you should try this out. I started using it when I was transitioning from my platinum blonde to the natural color I have now. I wanted to just let it grow out but I found my ends would dry so brittle! So I started using this to combat the breakage and it worked wonderfully. I haven't looked back since. It comes in quite a few different sizes so if the 4 oz. isn't for you, I believe there's a smaller size they offer. It's a little pricey for the amount of actual product you get but to me the results it gives are worth every penny. I picked mine up from Urban Outfitters for $10.00 but you can get it on Amazon for only $6.63 here. The original Wreck This Journal was immensely popular. I still have the original book and use it occasionally. There are so many pages in the big one! This book is it's adorable little sister. 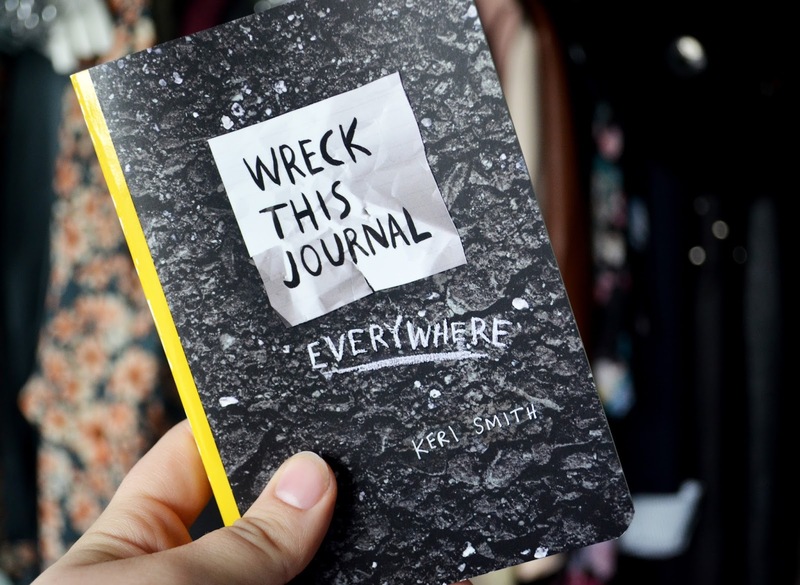 It's called Wreck This Journal Everywhere. 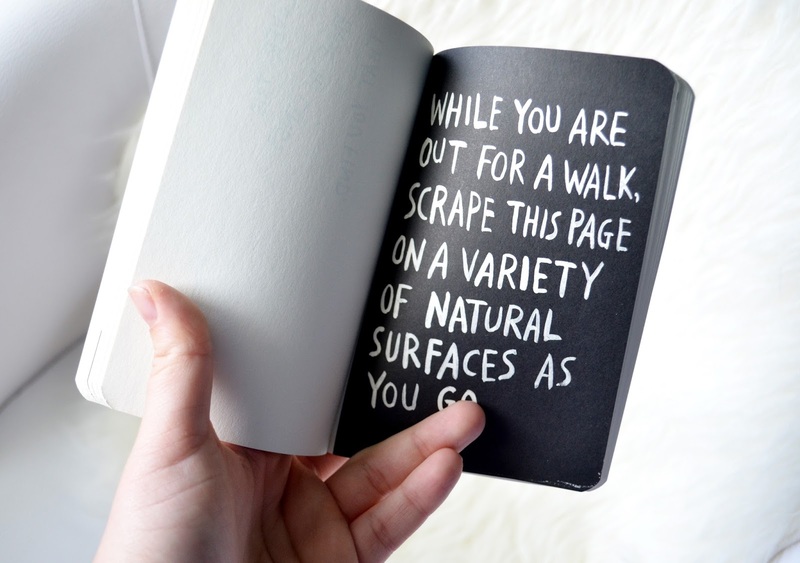 It stands at about 4x6 inches and it's perfect for those spontaneous, on the go adventures. 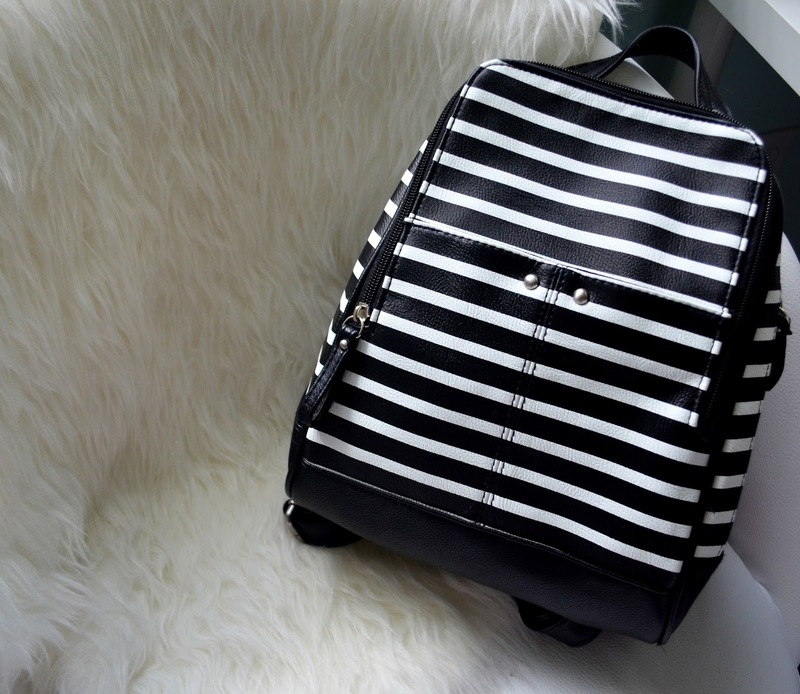 It fits just right in my bucket bag and is always there if I'm out and about and need something creative to do. There aren't as many pages, and it contains a lot of wreck it your own way pages, but I still love it so much. Little books like these remind you not to take life too seriously and just live the adventure. Although I must say...there's a "put dead bugs here" page I won't be using any time soon. You can either pick it up at your local Target or get it online here for $29.99. This charming, oddly shaped bag is something I walked by at work about 40 times before I finally bought it. It took me a while to decide whether I liked it or thought it was just too weird. $30 later, I think you can guess what I decided. It reminds me of Paris for some reason. Coming from a girl who has only been there in her dreams, that probably means nothing. None the less, it makes me so happy. I am totally into stripes right now so that was a plus, but the main reason I chose to get it was because of how well it fits my DSLR. I wanted something that would be able to hold my camera, wallet, keys, and all that other extra crap girls carry in their bag, without it getting all banged up. This bag was the perfect fit! I don't own any other backpacks so I'm a little confused on how to style it. If you have any suggestions as to what I should do, please leave them down in the comments below. The last thing I got recently is this fun pillow from the Nate Berkus collection at Target. It was on a clearance end cap and I quickly grabbed it and brought it to the registers to check out. 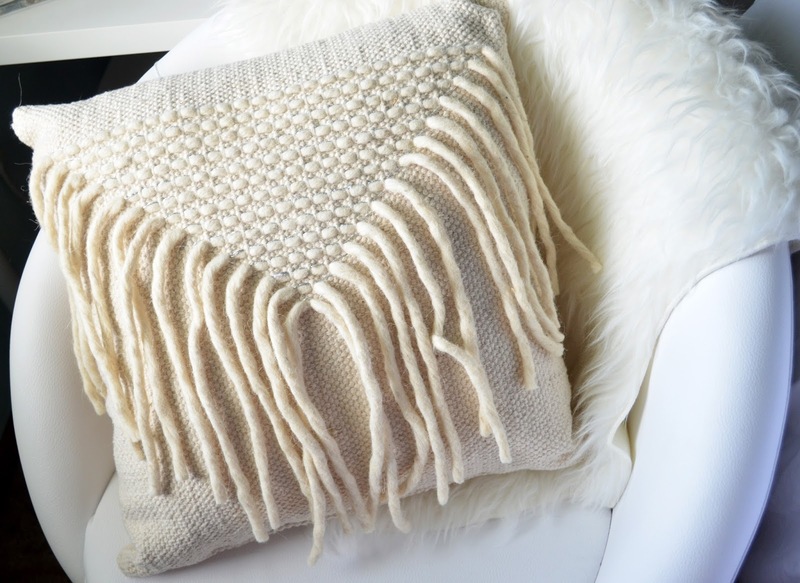 Who doesn't like a good decorative pillow for cheap? I love pretty much anything Nate Berkus related. His line at Target is to die for. Can my whole room be designed by Nate? Please?! I'm not too sure as to the price, just because it was on clearance and I already threw the tag away but I think it was around $12.50. ALWAYS look in the clearance section at Target loves, you never know what you might find. They have new great deals every day. Well that's it for me. I should be saving my money but sometimes there are things you just can't pass up. 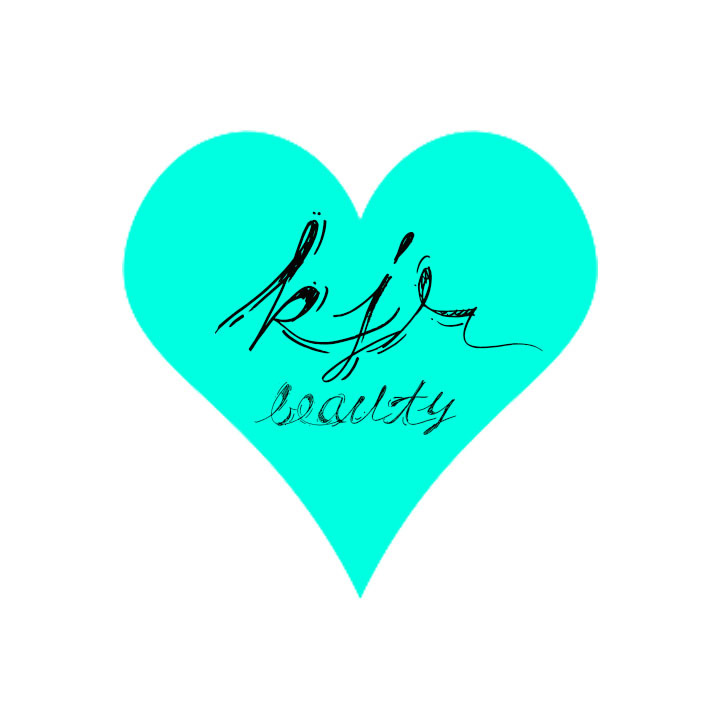 I hope you enjoyed this blog post and thank you so much for reading.